Pakistan denies a request made by the Saudi regime, for the second time, to participate in the war on Yemen. Pakistani Prime Minister Imran Khan has refused to send Pakistani forces to fight in Yemen, stressing that his country will not take part in wars for other countries. “If there is one coherent institution in Pakistan at present, it is the army,” Khan said in a speech from the army headquarters in Punjab province, according to the local Geo News channel. Additionally, he pursued civil and military institutions to push the country forward. “The Pakistani army is doing its best to avoid interfering in politics,” he said, stressing that such an interference would “destroy institutions,” he added. Khan affirmed that his government’s foreign policy will focus on improving the country’s economic and developmental state while strengthening the unity of the internal ranks towards achieving a good future. Saudi Arabia has asked Pakistan to participate in the Saudi military campaign in Yemen with warships, military aircraft, and Pakistani militants. 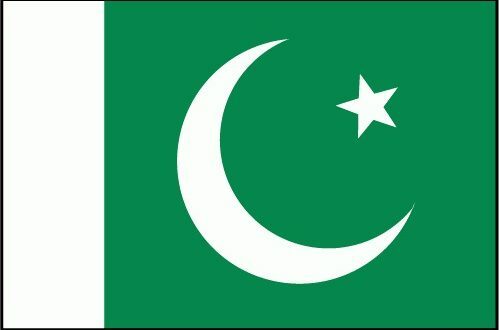 Nevertheless, Pakistan’s parliament voted to remain neutral in order to avoid being dragged into a ”sectarian” regional conflict, because the civilization in Pakistan is a mixture between Sunnis and Shias. The Pakistani army revealed in a statement the fact that the deployment of a number of troops within the borders of Saudi Arabia, particularly on the Yemeni border, would take place in light of continuing clashes with Ansarullah, also know as ”Houthis”. The statement, which was quoted by a Pakistani English website called “Dawn”, said that the deployment of a number of troops within the borders of Saudi Arabia occurred as part of an agreement signed between the Saudi and Pakistani sides for joint defense. The Pakistani site added that the arrival of Pakistani forces to Saudi Arabia came in coordination between the two sides; in order for the Pakistani army personnel to train some Saudi soldiers and provide them with advice. In the same context, Saudi Arabia declared on Thursday that its ambassador in Islamabad, Nawaf al-Maliki, held talks with Pakistani Defense Minister Pervez Khattak to discuss the kingdom’s support in defense fields. According to the official Saudi Press Agency, ”Khattak” meets with Maliki at his ministry in the city of Rawalpindi, in northeastern Pakistan. During the meeting, the two sides talked bilateral relations and means of boosting them in defense fields.